The Mahindra Xylo is 7 and 9 seater vehicle with high performance on all types of road and best suitable for family outing on hilly area and tourist places all over India. Cablo Provides best in class Xylo from 20016 onwards model for booking in more than 50 Cities all over India. You can book your zylo for the best comfort outstation car rental experience on SUV. the Seating layout is 7 Seater and 9 Seater. the 9 Seater model currently available in Delhi, Mumbai and Pune outstation car rental only with cablo. 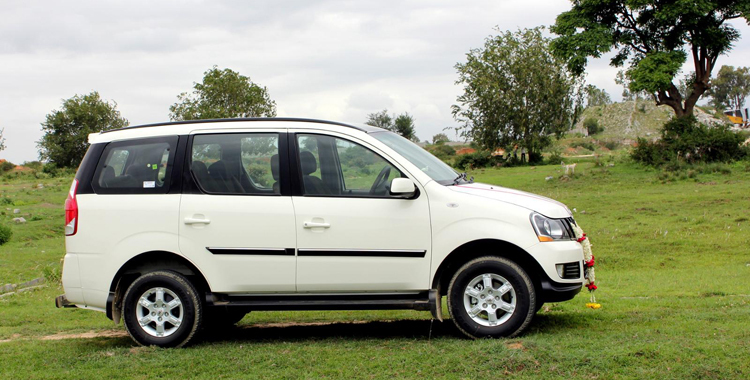 The Mahindra XYLO is perhaps the first vehicle in the country which has been completely engineered around the customer. The powerful 2.49 litre mEagle CRDe engine is fuel-efficient and delivers 112 bhp, allowing you to literally fly from 0-60 kmph in just 5.8 seconds. Moreover, the vehicle model offers class-defining lavish space all around such that even a 6ft tall person can stretch in comfort on the third row seat.